It's time to check in with DI club play out West. SFGG inched closer to claiming a playoffs spot over the weekend by downing Life West 38-28. After getting past their top rivals SFGG look to be the top seed from NorCal and will take on the top team from the Pacific Northwest on May 6th for a spot at Regionals. SFGG are heavy favorites to beat either ORSU or the Portland Pigs. Life West could be the number two team that will play the second team from the Red River in May for a spot at Regionals. Life West scored first to go up 7-0 before SFGG responded with a penalty from Volney Rouse. Additionally, Devereaux Ferris was shown a yellow for Life West. With the man advantage Rouse added a try, as did Pila Huihui. After 20 minutes SFGG were up 17-7. The Gladiators responded with a try from Gui Cazenave to cut the deficit to three. Aukuila Uaisele would increase the lead with a try for SFGG but he also later earned a yellow card allowing Life West back in the match. Life's scrum then went to work and earned a penalty to make it 24-21. They then took the lead when Anthony Munoz ran 80 meters for the score. The conversion made it 28-24. But that would be it for Life West as SFGG closed in on defense and picked up tries from Patrick Latu and Izzy Donalson. In the other match in the NorCal playoffs Olympic Club beat the EPA Razorbacks 27-24. Olympic Club will play Life West next week for what should be the second seed while the Razorbacks will play SFGG. There is an outside chance SFGG lose to the Razorbacks and it throws everything off but it is unlikely. 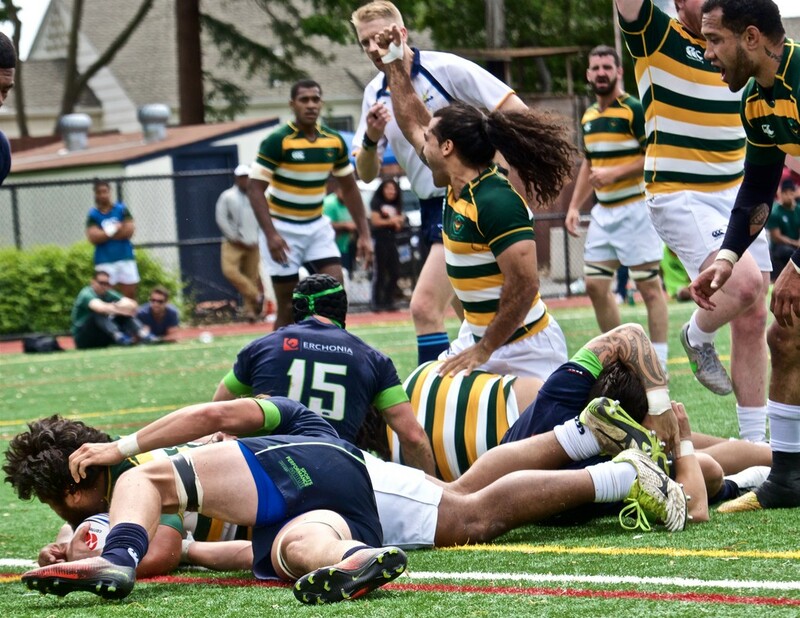 Up in the Pacific Northwest the Eastside Tsunami beat Snake River 57-16. There was only one match in the Pacific South as Belmont Shore crushed Santa Monica 67-17. Belmont Shore are the number one seed in the Pacific South playoffs and will take on the Old Aztecs in the semi-finals. Prop Maze Masoe had a hat-trick for Belmont Shore. Santa Monica will play OMBAC in the playoffs in what should be a fantastic match. There were no matches in the Red River over the weekend. The Austin Huns currently sit in first place just four points ahead of the Dallas Reds and Austin Blacks.